Confused by what version to watch dear reader? Unsure what people mean when they talk about so-and-so's version or that 1980-something version? Well, I'm hoping we can rectify this for you. One week at a time. I thought I'd start on an unbiased topic, that way everyone knows I will not be bias (okay maybe a little) when we get to Jane Eyre and Pride and Prejudice, etc. So we are starting with Hamlet, because what literary lover doesn't love Shakespeare? If you've never read Hamlet or want a refresher of the story, I vote for you to take a gander below (there are 4 parts). It's not childish reader! Its funny. Okay, I think its funny. And the best way to explain Hamlet in 20 minutes or less. For my lack of dedication, sue me. Now to the versions! 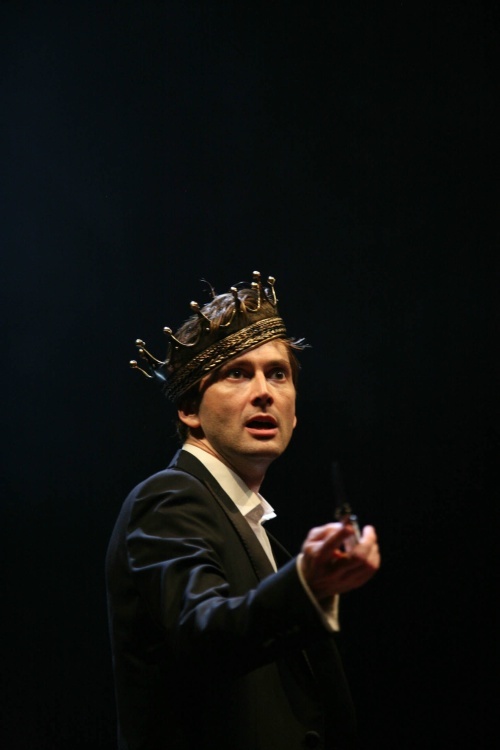 There are 5 widely watched versions of Hamlet and all are remarkably different in tone, presentation, and composition. Let's start at the beginning and work our way forward. Filmed stage production. In classic Hollywood, our costume dramas never fail. 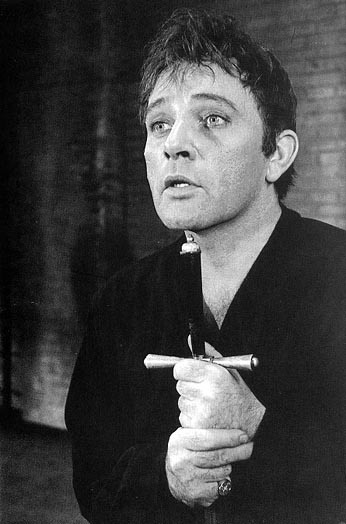 And while this adaption is very different from "Taming of the Shrew" which co-stared Elizabeth Taylor, Richard Burton's intensity and command is no different. Burton was one of those intensely furious actors. He brought something to Hamlet only a classic Hollywood star could.This is the era that Shakespeare was made classy, was made elegant, and the bawdy jokes and mirth were turned into melodramatic gems your teachers youtube for class. This version production-wise is a great deal like the 2009 version: a few cameras capture a stage production of Hamlet--think more classy than your dad taping your high school play from his seat. Watch some clips here. Zeffirelli did it people! Working with a whole new generation of Hollywood stars, he got his Hamlet made. And now as we watchit post-Braveheart...it looks like Braveheart. Honestly, I haven't watched this movie in its entirity ever. But it exists! Floating around as a testment to American large-budget costume dramas which no longer exist. I adore Kenneth Branagh, as an actor and director in ANYTHING else, I think he's flawless. Now this is completely just my opinion (as are most things on this blog...I really should stop apologizing), but I think his Hamlet is a great deal pretentious and narcissistic. More so than Branagh's was going for. This is the lavish, multi-million dollar production that has become THE version of Hamlet, just because nothing else can go toe-to-toe with it. It's also the longest film on the history of the planet (not true, but I'm sure its close). Don't get me wrong, I adore the cinematography, and LOVE all the actors it in, I just think its the nature of Hamlet as a play...I get, well, bored. Still, this is the version you simply have to see. No one other than Kenneth Branagh could get this film made in the scope it was made. 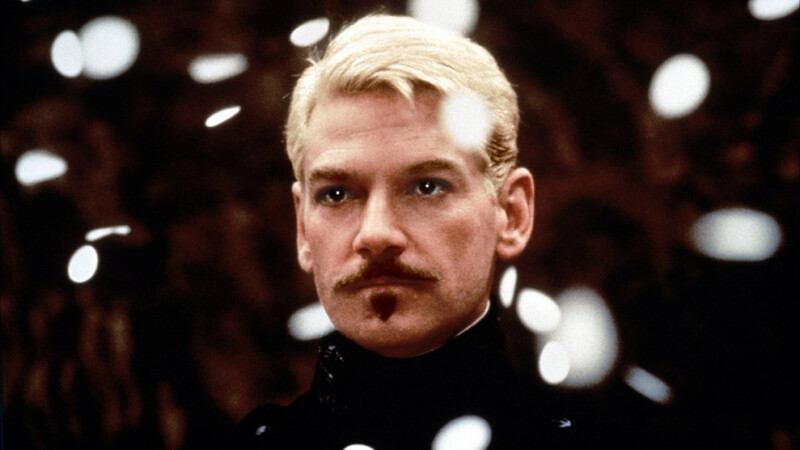 Chalk one up for team Shakespeare on Film -- Branagh's our president. This is the version I just. don't. get. I get is a post modern retelling. I get that in the late 90's everyone was having a huge love fest over modernized Shakespeare (or Julia Stiles in movies? ), but this Hamlet just creeps me out. Ethan Hawke and Julia Stiles star in this upscale, post-grunge fantasy version. Where Branagh plays his Hamlet with hatred as his driving force, Hawke plays him as disillusioned and depressed. While both are accurate emotions to build upon for Hamlet's frame work, you can see how differently those intital foundations can drive a character. I think what gets me more, and again personal preference reigns, I don't like the modern setting and modern emphasis with the Shakespeare dialogue. (OMG I think my own sense of Shakespeare integrity just exploded.) Its an interesting version, but highly conceptualized, which somehow disconnects much of the film. In the grand scheme of things, this version did not get nearly as much publicity as 10 Things I Hate About You or O and stands as an interesting version from the turn of the millennia. I won't lie. I can't about this version. It was made, purely because the RSC and BBC knew they could sell TONS of DVDs of the Doctor playing Hamlet. And they were right. Well, that's why I bought it? Didn't you? That being said, its brilliant. Tennant is captivating and, like Branagh, gives so much in his character you realize why it's a classic outside of just being Shakespeare's. Its filmed in what I loving describe as Gorilla British style -- a cross between Burton's stage version and hand-held camera operation. Their goal: bring the stage to screen, not directly, but with as little effort as possible. Most live Shakespeare is produced without scenery or sets and this version follows that closely -- with empty rooms and bare hallways. The modern clothing worn by the actors, seems more like a custom of human modesty than and push to "modernize" the play. I just like this version; I like when acting is allowed to shine; and I like when you can see actors so fiercely passionate about their subject matter. So there we are! They turned out a little biased, didn't they? Oh well, perhaps my thoughts will be helpful. And you all know, I wouldn't write about things I didn't love, even if I don't necessarily like them. Feel like watching any of the versions discussed above? Hop over to youtube, you can find most of them there!